You’ll notice this sign as you start to come into the town of Ophir. 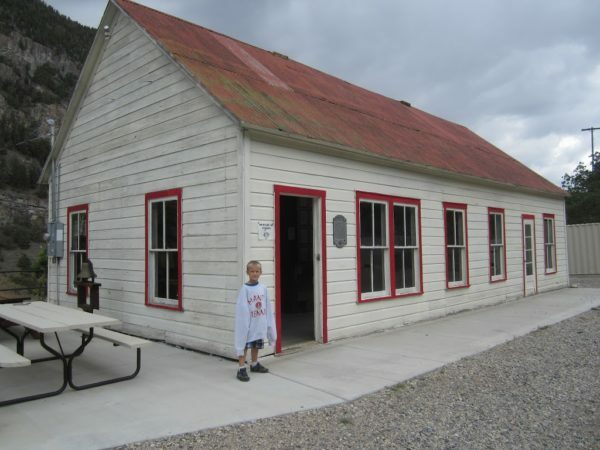 Ophir is a ghost town in Tooele County. You won’t see any ghosts here, though, because Ophir still has a population of around 38 (according to Wikipedia). 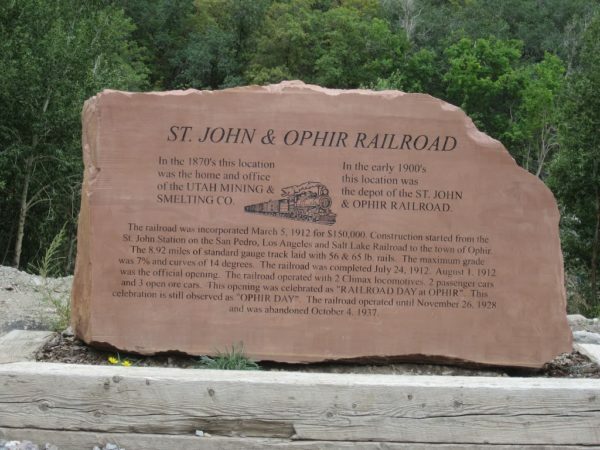 Still, Ophir is pretty cool for its historical significance. 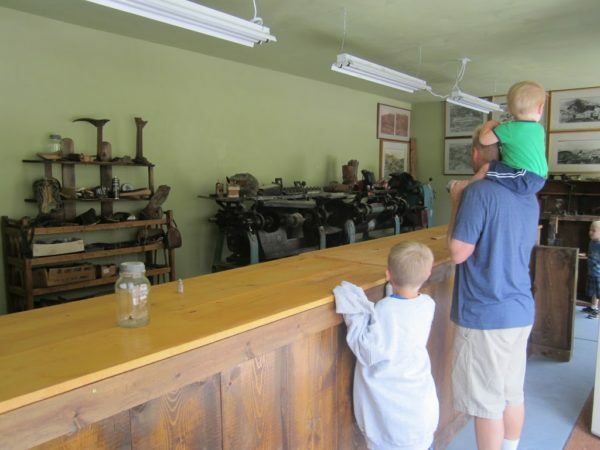 Ophir was established around 1870, and was named after a town in the Bible that provided precious metals and things to King Solomon every three years. Legend has it that some men found the Indians were using silver and gold bullets and followed them to this area. 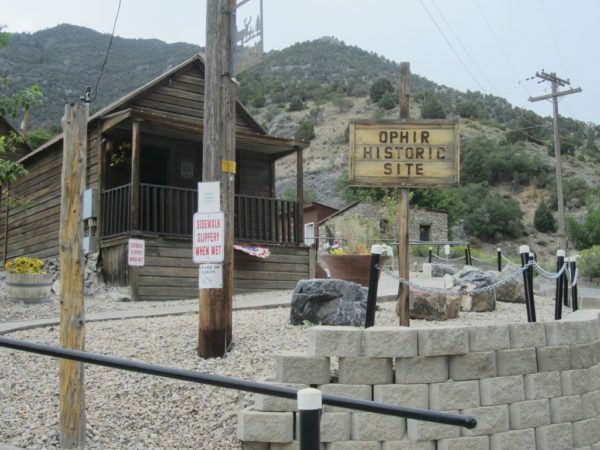 A mining town quickly cropped up and Ophir was born. Later, the silver ran out and the town disappeared as quickly as it had arisen. We parked right below this sign and then walked up the hill to see everything. 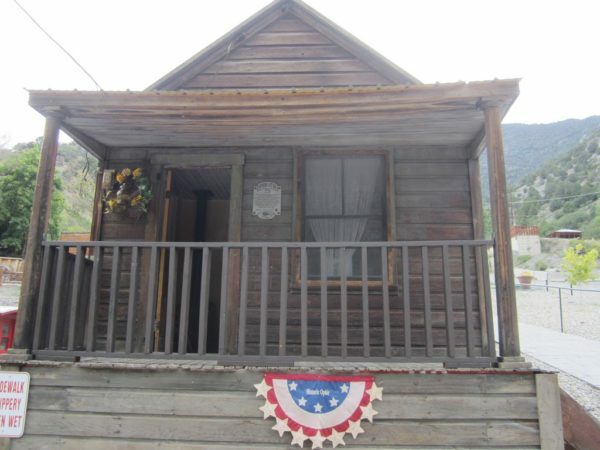 Now Ophir is like an outdoor museum, with a few streets to walk and several houses and businesses to see. If you go on a Saturday in the summer months, the buildings will be unlocked and you can walk through them. 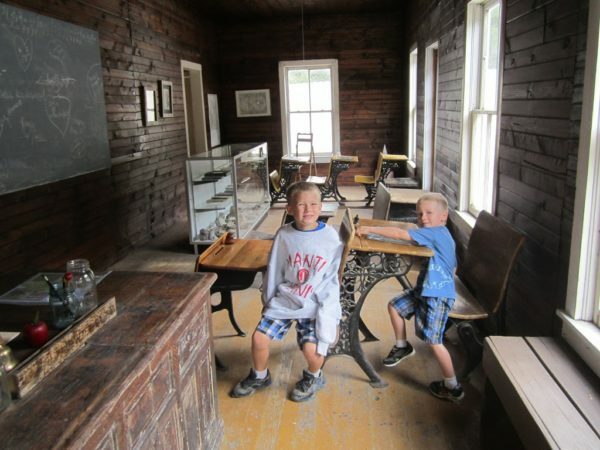 There is a reconstructed school, a post office, a train car, a shoe shop, and several houses. Make sure to sign the guest book in the train car! 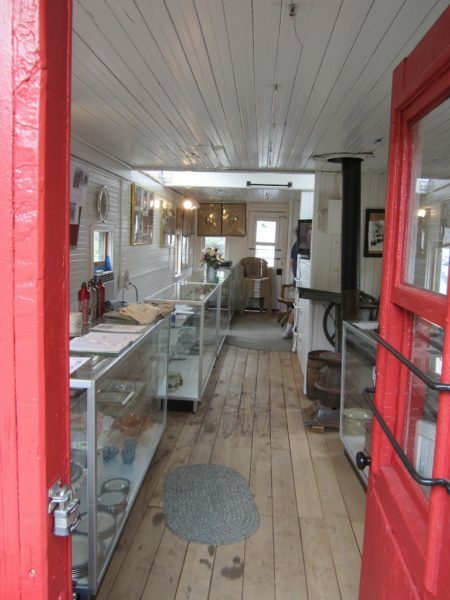 The Visitor Center is inside the red train car. 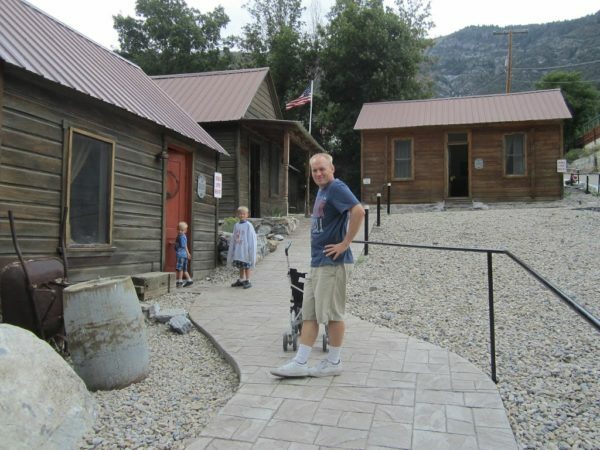 There are a few homes to walk through in Ophir. 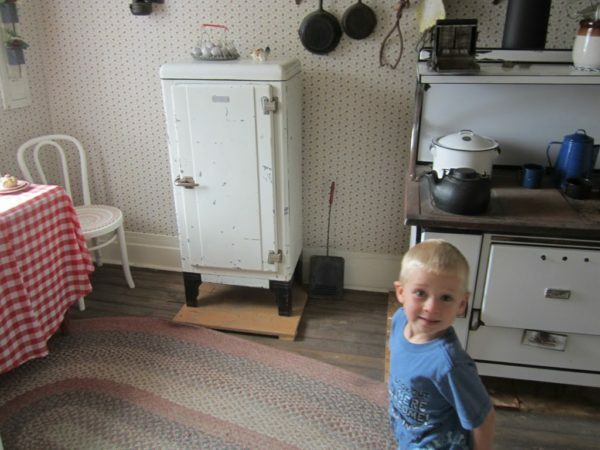 They are set up inside to look like original pioneer homes. 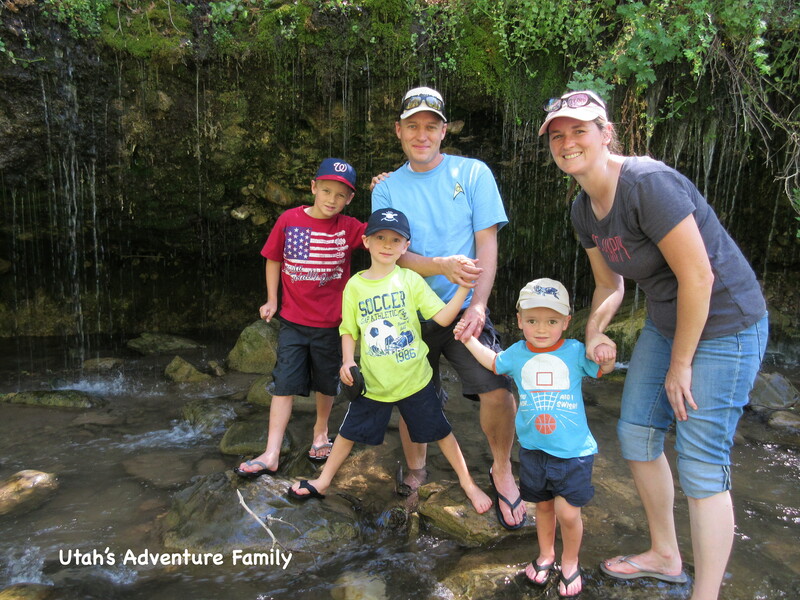 Ophir was amazing to us because we’d never heard of it, even though it is only about 45 minutes west of Lehi. Drive out past Fairfield and toward Tooele and you’ll pass a lot of sage brush, and a turnoff to Ophir. The road winds up into a beautiful canyon. Ophir is nestled among the rocks. 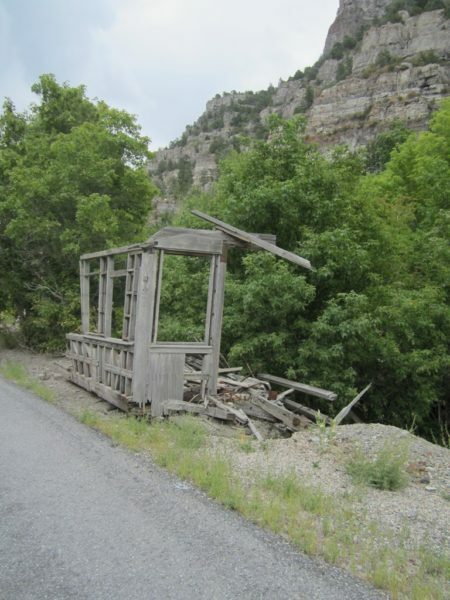 There are ruins along the drive into Ophir. 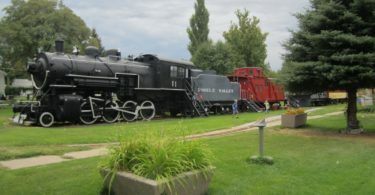 The operation is run entirely by volunteers, and because Ophir is still a town with citizens, it is important to stay off of private property. The historic site is easy to navigate, though. Park at the bottom of the hill near the train car. There is a pavilion, and you’ll meet a volunteer if you are here at the right time. 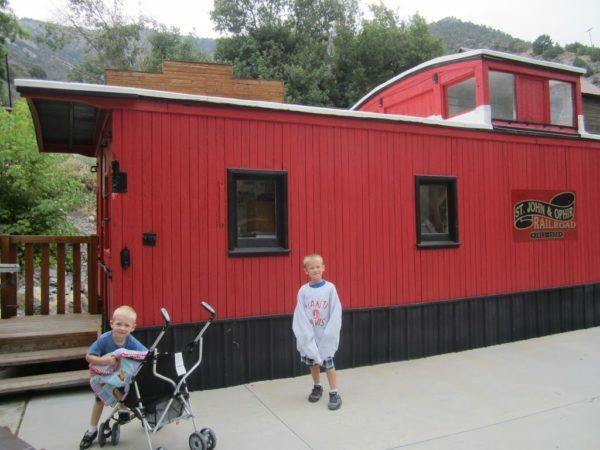 The train car is a make-shift Visitor’s Center, so you can start there. A path circles up the hill past several of the houses and shops. Another path goes farther up the hill to the school. There are also really nice restrooms across the street. We were impressed with all there was to see. The school was up the hill, but our boys loved this stop. We had fun playing pioneer school. The shoemaker building was fascinating. Ophir may disappoint you if you can’t walk through the buildings, so go at the right time. Currently, the right time is Saturday from 11am-3pm between May and September. 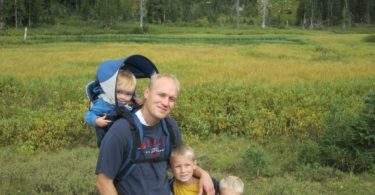 This site gives a comprehensive history of Ophir. That is so cool! Do they ever do a town festival thing where they have old people demonstrating stuff?